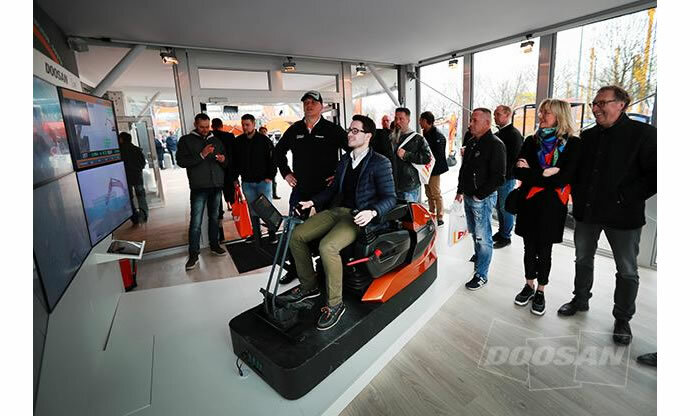 South Korea’s leading construction equipment maker Doosan Infracore has showcased a 5G remote controllable excavator at BAUMA 2019 trade fair in Germany. At the trade fair an excavator in Incheon, west of Seoul, South Korea was successfully operated via 5G network from a control station in Munich. The remote system worked smoothly and in real time despite the 8,500-kilometer distance. Doosan Infracore worked with LG U + to set up the 5G link. Further work is underway to expand the technology to reduce lag and ensure a secure data link. 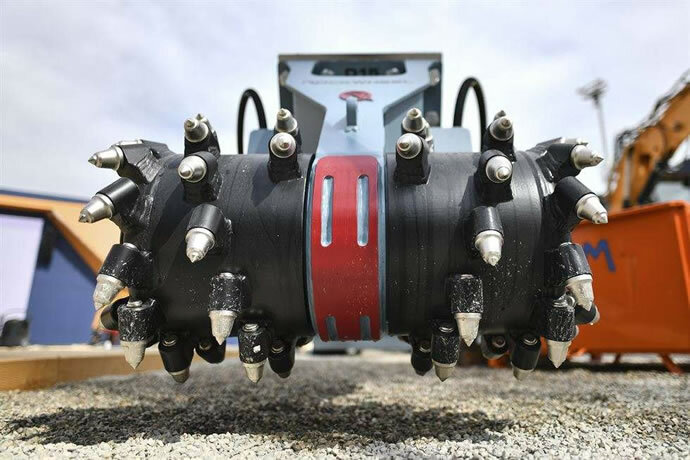 The latest test shows that construction machinery can be operated anywhere in the world through a remote connection, which opens vast possibilities for construction equipment makers. Sensors on the excavator equipped with a 3D machine guidance solution relayed detailed three-dimensional information about its surroundings to the operator for better situational awareness. 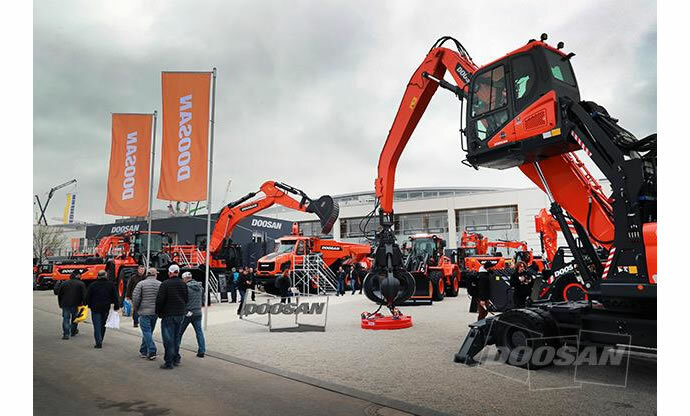 Doosan displayed 30 products, including 5 models of 2 to 4-ton R Series mini excavators, 8 models of compact loaders, and portable power (portable air compressor). In particular, it introduced the E10e, a 1-ton electric mini excavator, the first in the small construction equipment industry. The E10e is an eco-friendly product that only drives with an electric motor without an internal combustion engine, and has the same output and performance as its class diesel engine. Up to 4 hours of continuous operation is possible with a single charge. 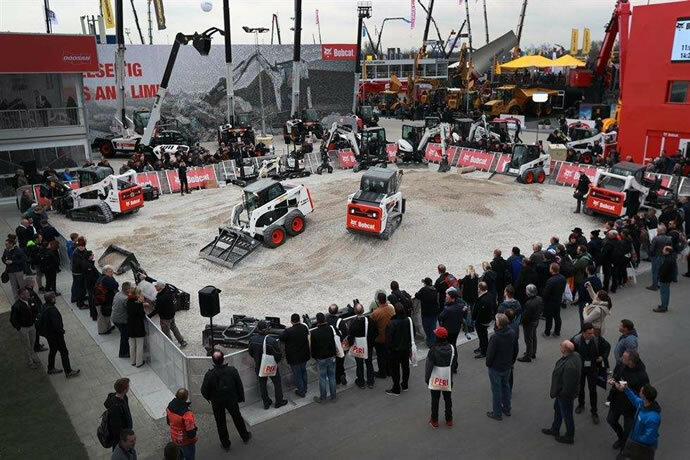 Bau Maa, which is held every three years, is the world’s largest construction machinery exhibition to introduce the latest models and technologies of excavators, cranes, road equipment, and mining machinery.